Cauliflower kuzhambu is simple and elegant accompaniment for rice. This is one of my comfort and great dish for the lazy day :) It goes well with both rice and tiffin varieties. 1). Grind onions, coconut, turmeric powder, tomatoes with 1/2 cup water to a fine paste. 2). Click here to know How to clean a Cauliflower. Blanch the cauliflower and half boil the cauliflower florets in microwave for about 2minutes and keep it aside without draining the water. 3). Heat oil in a pan and temper with mustard, curry leaves and let it splutter. Then add onions and saute until it turns translucent. 4). Add the boiled cauliflower florets along with water. Then add the ground masala and salt to taste. Then add coriander powder and chilli powder. Let it simmer until well blended. When the gravy turns thicken, check for salt and add salt if needed. Garnish with chopped coriander leaves. Serve with steamed rice and appalam. 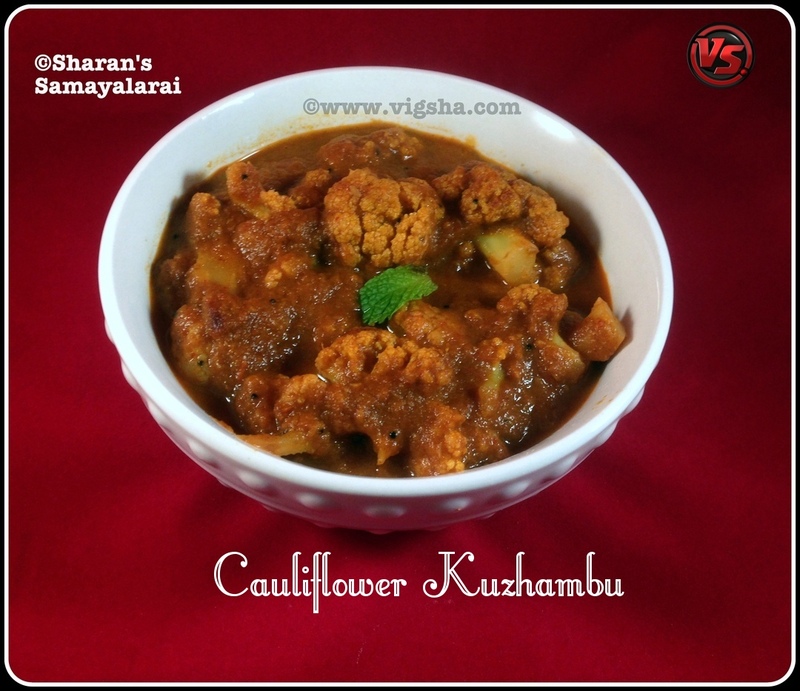 # Cauliflower can be substituted with any other favorite vegetable. 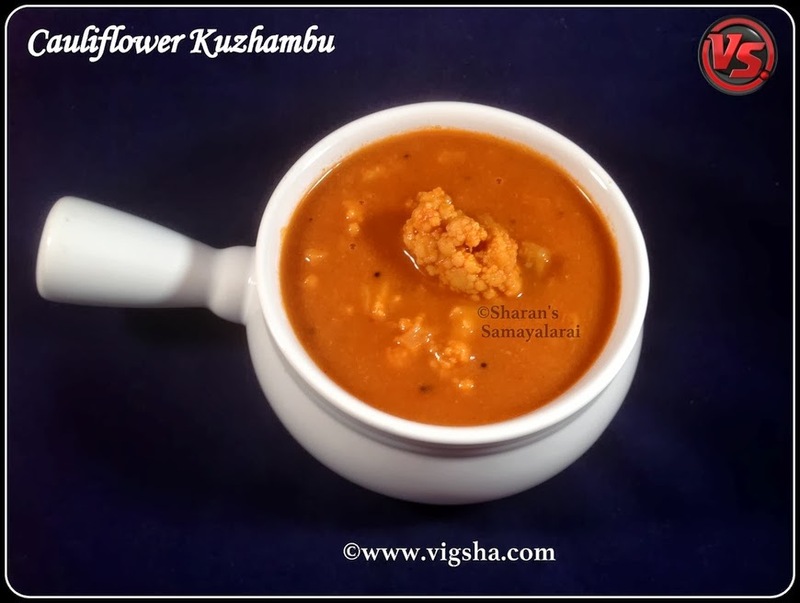 # Paste will thicken while grinding, do not add more water and make the kuzhambu runny.